We produce imaginative creative integrated campaigns; here are some of the best. We love them for their use of rich media, their intelligent informed content and their creative and engaging design. Also not forgetting, they’ve delivered measureable results, changed behaviour and won some awards too. We encourage young ones to share good times not flu! 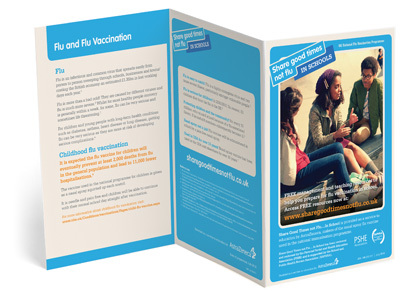 To devise a programme that will support and complement public health messaging about the UK flu vaccination programme amongst school staff, parents and the wider community. To develop a campaign that is proactive in keeping schools and teaching staff engaged and positive about the use of schools premises to vaccinate children. The ‘Share Good Times not Flu’ campaign provides relevant, timely and engaging information that references, supplements and supports government messaging and engages with all audiences within the education framework to influence, inform and educate youngsters about this important health issue and increase understanding and uptake of the vaccination programme. ‘Share Good Times not Flu’ in School carries the endorsement of the PSHE (Personal Social and Health Education Association) and is currently being used in schools in the participating pilot regions. For nearly 20 years we have been breathing energy into the BMW Group Education Programme. For nearly 20 years we have ensured that the BMW Group Education Programme maintains its position as a leading online education website. Keep the education programme vibrant, interesting, popular and relevant - aligned with company values and audience needs. 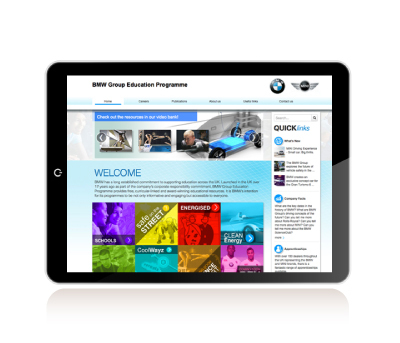 The BMW Group Education Programme is an interactive web-based education portal that has continuously updated content, programmes, technology and design. Always speak and listen to the programme’s audience, back up creative with rigorous research, and stay focussed and attentive to the company’s aims, ensuring this mature programme is always current. 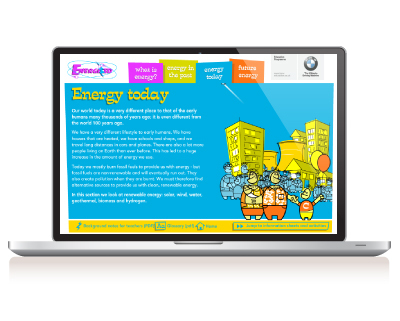 From teaching road safety to young pupils to explaining the essential progress of clean energy, all the resources are linked to the company and have relevance in the classroom. New programmes are introduced and older resources are removed if they are no longer relevant. Average of 2.5 million hits each year. Developed for the UK market, but widely used across the globe. A highly acclaimed multi award winning education programme that is held up as an exemplar. 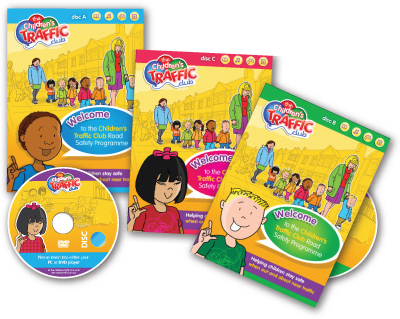 Children’s Traffic Club is a road safety resource that’s used by local and national government organisations, including the Scottish Government, the Welsh Assembly and Transport for London. It is designed for children aged 3-5 who are starting to become more independent and need clear rules instilled in them about how to be safe around roads. It is one of the most researched, monitored and evaluated road safety educational material in the UK, has been proven to change behaviours and is recommended by government as a part of children’s early years road safety education. Children’s Traffic Club materials reach children either directly in their homes, or through educational and childcare establishments – often by both routes. Partners include Road Safety Officers, Travel Awareness Co-ordinators, nursery leaders, childminders, health practitioners, libraries, Sure Starts, children’s information centres and community groups. Education and training is given to partners through exhibitions, roadshows, fun days, workshops, events and campaigns. They are also provided with engagement materials to use with children through the Children’s Traffic Club website, interactive games and promotional items. Over 3 million children have been members. In London the Children’s Traffic Club is estimated to have reduced overall child casualties from the roads by 65%. Across the UK pedestrian casualties are estimated to have been reduced by 49% and casualties involving children emerging from behind parked cars by 20%. 176,000 tiny tots are introduced to healthy eating, a habit that should last their lifetime. Ella’s Kitchen make 100% organic baby food and wanted to promote their brand promise, Good in Every Sense. We were challenged to raise awareness of their genuine commitment to helping babies eat healthy and balanced food. Let babies use the senses to explore and discover varieties of food, and offer parents the tools to enable them to provide their children with a healthy start in life. We created Feed our Senses, which introduced babies and toddlers to different foods through sensorial play, games, songs and rhymes. Parents and nursery staff were provided with techniques for making food and eating an enjoyable activity for babies. 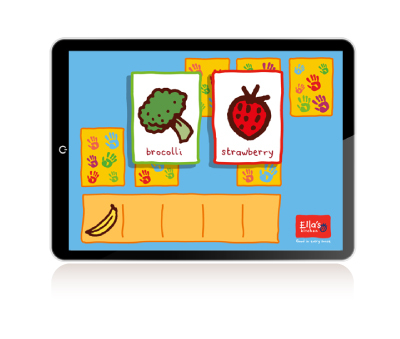 Over 176,000 tiny tots have been reached with the Feed our Senses activities. At launch, over 2,500 nurseries signed-up to the programme. Ella’s Kitchen has increased its brand presence and elevated its profile as a provider of healthy, organic and tasty food. We bring the M&S Archive to life with the help of a few tins of biscuits. To bring the objects, photos and documents held in the fascinating collections of the M&S Archive to life and give them relevancy. 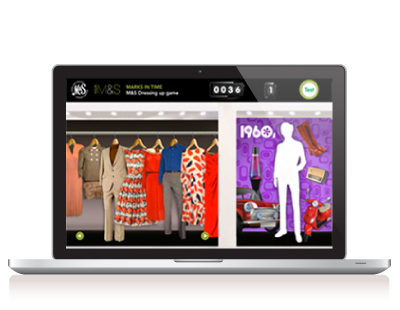 Interactive and fun games that all ages, across the generations, can enjoy, while learning about the past of M&S. 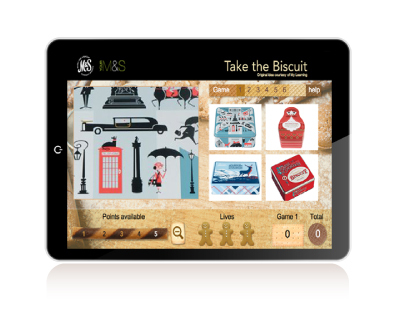 The suite of interactive online games includes four games; 'Take the biscuit', 'Dressing up', Fashion match' and 'Time trend'. 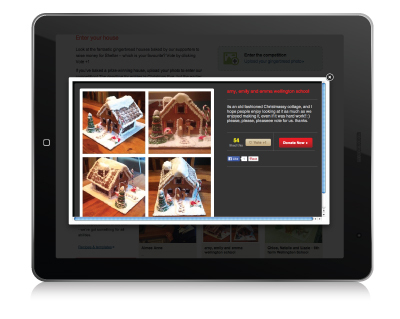 Play 'Take the biscuit' by matching the close up views to the biscuit tins from down through the years. Play 'Dressing up' by matching the styles to the decades. Feedback indicates they have been well received and are used by all ages. 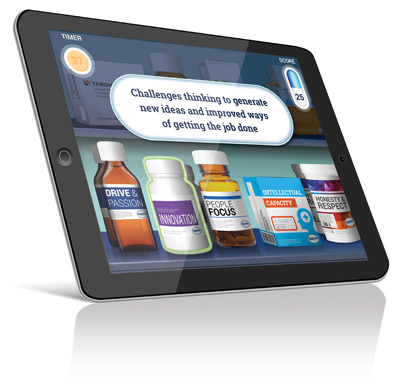 The implementation of NAPP Pharma’s Learning Management System for employees was in its early stages, when we were asked to bring it to life and redevelop some of their offline learning content into online interactive formats. Two new interactive online learning modules were created and developed which not only injected some interactivity into their training zone but gave employees a new, enhanced learning experience. Once employees were tested on their understanding of core values and leadership attributes, they wanted to make sure they could then demonstrate and apply these in the workplace. The module uses video to take employees on a journey of various work life scenarios and explores how a change in attitude or approach is critical to whether you demonstrate a positive, negative or red flag behaviour in the workplace. The new learning modules are and will continue to be extensively used by NAPP Pharma employees as part of their training and development. We enable primary children to explore STEM subjects and be inspired. To design and develop a means to inspire young people to become the inventors, engineers and scientists of the future and to excite and encourage them to study STEM subjects (Science, Technology, Engineering and Maths). A visually exciting, free online programme aimed at pupils aged 4 to 11, their teachers and parents. Supported by employee engagement resources. 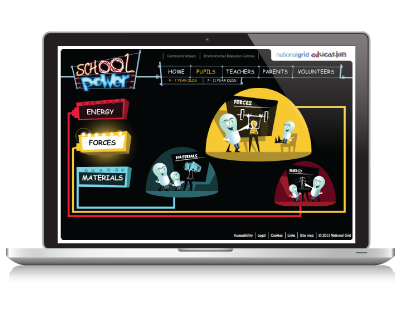 ‘School Power’ covers the themes of Energy, Materials and Forces. It is full of fascinating facts, interactive activities and fun experiments. 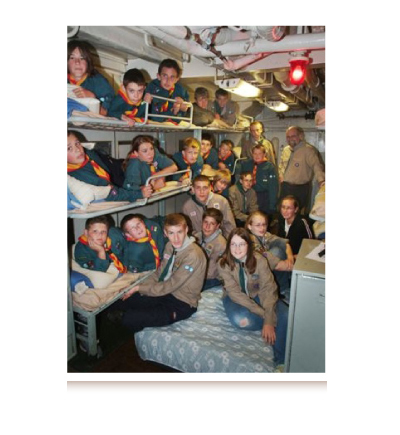 It includes employee volunteer guides, training (DVD and face-to-face), practical activities and assembly presentations. We help Nationwide employees deliver key lifeskills lessons to future generations. 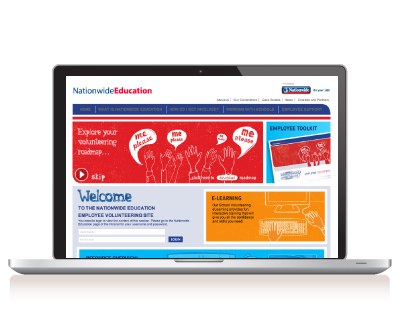 Now Nationwide Education’s quality resources are being used in classrooms by staff volunteers. To enhance Nationwide’s reputation - through schools and the communities it serves. To provide scope and training for employee engagement. Create a point of difference between Nationwide and its competitors. We developed Nationwide Education, a comprehensive digital hub, designed to harness the range and scope of the proposition and engage with the changing needs of their audiences. Content developed that supports all ages from pre-school to adults. Themes include: financial capability, sustainable living, employability and safety. Innovative engaging formats include: film, interactive games, read aloud story books, animations, e-learning modules, study aids and interactive guides for adults. A suite of comprehensive interactive guides, including four Money Guides and five Home Guides. It has an 85% satisfaction rate by users for the quality of the content and has received 2.5million hits to the website. The education and community programme has received many accolades and awards, including the BiTC Big Tick. Independent research findings indicated the programme had overall met and in some cases exceeded expectations. Over 1.4 million children, have taken part in ‘Hands up for Hygiene’. Carex is one of the UK’s leading handwash brands, communicate key brand messaging and create create awareness, knowledge and understanding amongst adults and children, of the importance of good hand hygiene. 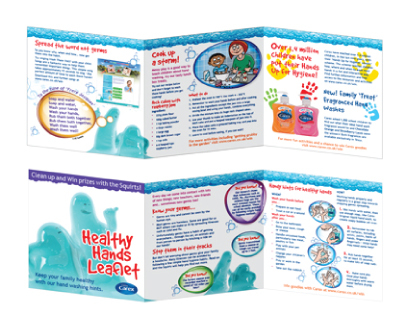 ‘Hands up for Hygiene’ with specially written stories, song CD, stimulating games and activities all fed into creating a campaign that engages teachers and excites children. The success of the campaign has led to the extension of the programme to primary and secondary students. 100% of teachers and care staff endorsed the resources provided. 99% of them said they were happy to receive further information from Carex. We bring you a taste of history the Hovis way. Whilst an award winning advertising campaign delivered the message Hovis is ‘As good today as it’s always been’, Hovis also wanted to promote their values to parents and children through schools. We developed a credible education programme which positively reinforced and capitalised on the advertising campaign, using the original advertising footage as a stimulus to learning. ‘A Taste of History’ education programme consisting of: A Taste of History (history), Them Bones (science) and Flex for Fun (PE). Information leaflets were enclosed with the resources which included money off vouchers for parents. 240,000 parent information leaflets were distributed through schools. It helped to drive sales and also significant coverage within trade, consumer and education media. Our campaign helps get young families walking for fun and health. The Ramblers, Action for Children and the Department of Health wanted a communication tool to encourage families with young children to start walking for health. 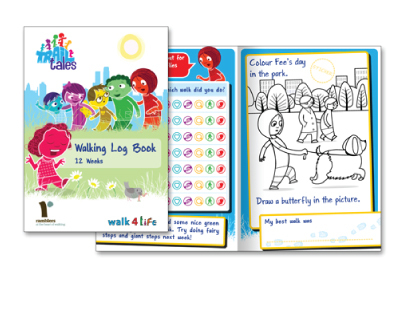 We developed the ‘Trail Tales’ printed educational materials, aimed at getting families with young children walking for health. 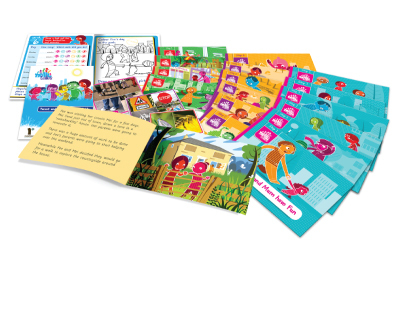 The suite of fun Trail Tales storybooks, based around six cartoon characters and their friends and families, highlight six walking themes. The programmes are targeted at three age groups of pre-school and junior school children, with the aim of encouraging regular independent walking close to home as part of everyday life. Fun logbooks act as an ongoing stimulus and base for recording their walking activity. Previously inactive people were motivated to participate in everyday independent walking, with associated mental and physical health benefits. The target audience were informed of the ease and benefits of walking, and of local walking opportunities. We help girls wise up to HPV and encourage them to get vaccinated! To create and manage a UK wide education programme to raise awareness of the link between HPV and cervical cancer and help support implementation of HPV Vaccination programme in UK secondary schools. To develop a flexible suite of materials to be used by both education and health professionals to reinforce key messaging in an easy to understand and contemporary style. Resources were created to incorporate simple explanations of the need for vaccination for girls aged 12-13 years, highlighting both the social reasons for the vaccine and the protection it can provide to young women. 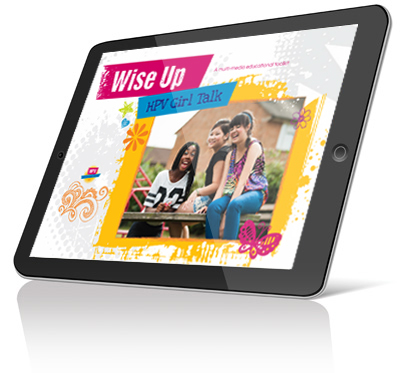 A multi-media toolkit linked to the science and PSHE curricula as taught throughout the UK written in collaboration with school nurse professionals and practising teachers featuring film, music and Prezi style presentations. Prezi slideshow and comprehensive Presenter notes provide a dynamic presentation, including film and animation to cover the link between cervical cancer and HPV and HPV vaccination. Stimulus film - features girls discussing their understanding and experience of HPV vaccination. 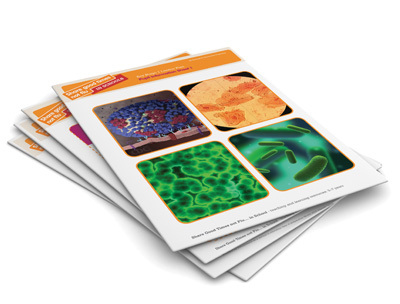 Lesson plan and worksheets help girls learn about the immune system, how vaccinations work and their impact in reducing the spread of disease throughout the world. Highly engaging materials that resonate with young female teens communicating public health messaging, simply and effectively. ‘The Great Gingerbread House Sale’ is now on – putting the fun into fundraising! 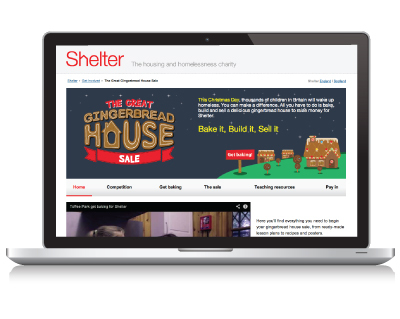 To create a suite of teaching resources to raise awareness of Shelter’s work. To support the success of their 2013 community Christmas fundraising, ‘The Great Gingerbread House Sale’. A series of age-appropriate creative, curriculum-linked lesson plans/tasks and challenges which capture the imagination while building understanding surrounding the issues of homelessness and raising awareness of Shelter's work in order to encourage fundraising. Launched in November 2013 with schools invited to design, make, bake and sell their Gingerbread House creations in aid of Shelter. The resource provides an opportunity to be creative and entrepreneurial, whilst delivering a range of key learning outcomes and enriching young people’s understanding of good citizenship and social responsibility. A competition, open to the public vote, adds an extra dimension to this event. The main thrust of this activity is fundraising, the results of which will be known in the New Year (early 2014). The competition element, including the public vote, is expected to generate positive PR. Siemens is tackling the UK STEM skills gap with an engineering and careers portal for schools. Siemens is tackling the STEM skills gap with the UK’s first engineering education and careers portal for schools. Siemens wanted to reach into the education sector and build long-term sustainable relationships using a purpose designed educational resource that showcased both its intellectual leadership and on-going support for innovation and entrepreneurship. We proposed developing an inspiring and engaging tool to excite and inspire young people to engage in STEM (science, technology, engineering and maths) related content. 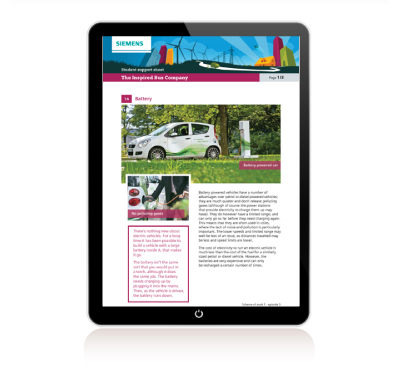 Siemens Education Programme – the creation, development and management of a UK wide education Portal with comprehensive multi-platform STEM themed content. 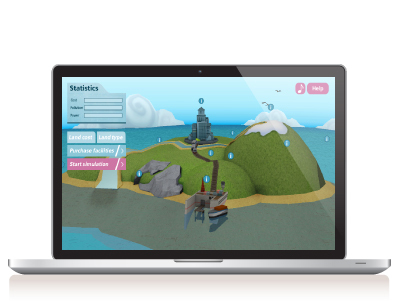 It comprises a range of resources from highly interactive schemes of work, for practical application in the classroom, to engaging 3D games, including Siemen’s Island, based on some of the most ground breaking industrial projects and technologies in the UK. Supported by an Employee Engagement Programme with support management tool. The portal will be rolled out to 5,000 schools across the UK by 2014 aiming to reach over 1.95 million pupils within the first year and 4.5 million by 2016. Received critical acclaim within Siemens and is positioned as their flagship project. Global interest has resulted in sharing of good practise. We bring the periodic table to life and show its relevance in everyday life. 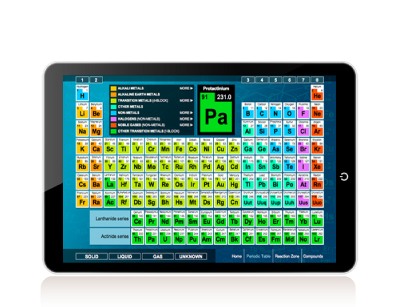 Recognising that the periodic table is fundamental to the science curriculum, we set out to help learners understand the often complex world of chemical reactions in an engaging way. 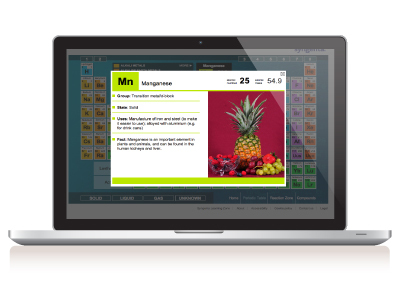 The Syngenta Periodic Table is a free interactive resource, designed to encourage young people to appreciate the role chemistry plays in their everyday life. Bright colours, bold images, video demonstrations and 3D models bring the periodic table to life. 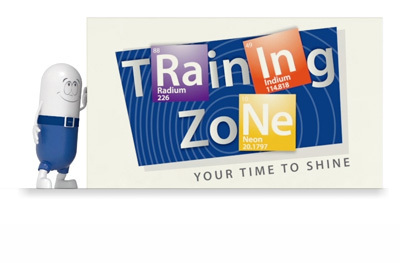 Students can conduct experiments in the ‘Reaction Zone’, a unique virtual laboratory where they can see the results play out on film; or get to grips with real-life chemistry as they explore and manipulate compound structures in 3D. Aimed at students (up to 16 / 16+) and their teachers, users can switch between two levels of curriculum-linked content and alternate to see equations build in word, symbolic or both formats. We helped change attitudes towards drinking tap water. As part of their ‘Fit to Drink!’ campaign, Thames Water wanted a creative way of inspiring and encouraging youngsters (and families) in the Thames Water area to drink more tap water and highlight the benefits of tap water to the wider community. 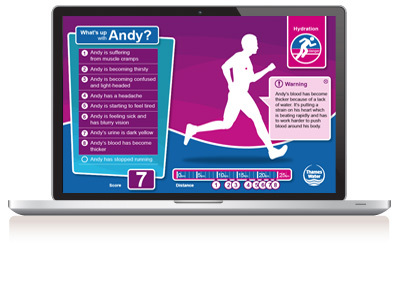 An online toolkit that enables young people to engage with the ‘Fit to Drink!’ campaign and extends reach into schools. Features Olympic sports personality to educate and inspire children about the health benefits of drinking tap water and make it ‘cool and aspirational’. Use of film and animation to raise awareness and bring to life why we need water to stay fit and healthy and how water is made Fit to Drink! 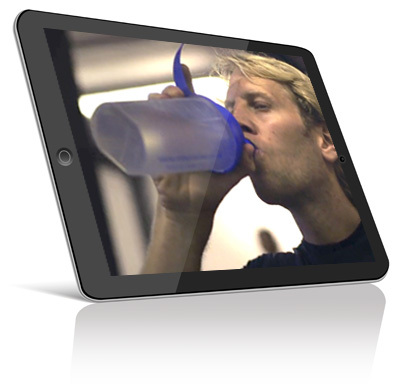 We used unique film footage of Olympic gold medalist rower Andy Triggs Hodge in training to focus on the importance of water to human wellbeing and follow him through the course of a day where drinking tap water is an important part of his daily routine. Engaging film, interspersed with animation and interactive gameplay demonstrates how vital water is for our bodies and why Thames water is safe and fresh to drink. 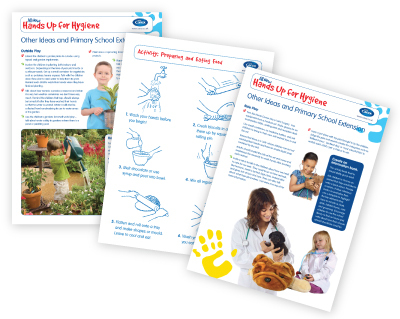 Supporting activity sheets and teacher notes show the science behind safe drinking water, why it is important to drink water and how it used by the body. A comprehensive resource that builds on the success of Thames Water’s Healthy Living Campaign and takes important messaging about water and health into schools. Fronting the campaign with a respected sports personality adds credibility and showing him in his daily training routine successfully reinforces the link between hydration and health. UNICEF were looking for a partner to help raise funds in a new, meaningful and innovative way. The Giant Sleepover brings together on one night thousands of children with the aim of having fun, creating friendships and fundraising. 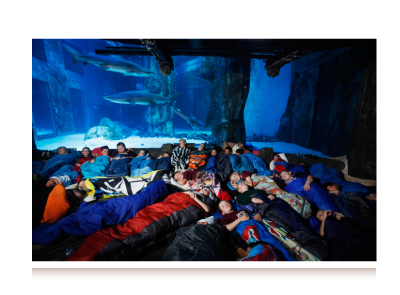 Through their schools and youth groups, children have the opportunity to sleep away from home; camping or in school halls, or in unusual venues including sea-life centres, castles, theme parks, science centres and zoos! The Giant Sleepover is a unique fundraising opportunity letting children take the lead in raising money for other children with greater need. An annual event, The Giant Sleepover raises thousands of pounds to enable UNICEF to work with vulnerable children worldwide. Young people become engaged with the charity at an early age. The event holds the Guinness World record for the Largest Simultaneous Sleepover with 46,000 participants. An innovative way to inspire employees to be environmentally aware. 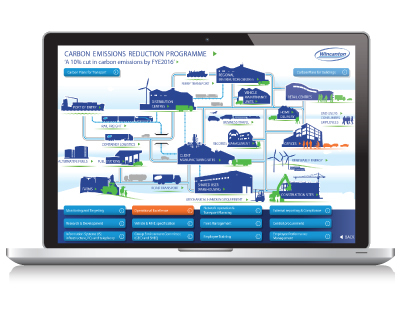 Wincanton was seeking to communicate their Environmental policy statement to staff and stakeholders in a simple and innovative way. We developed an interactive Employee Awareness Campaign, outlining their commitment to ten environmental principles and providing employees guidance. 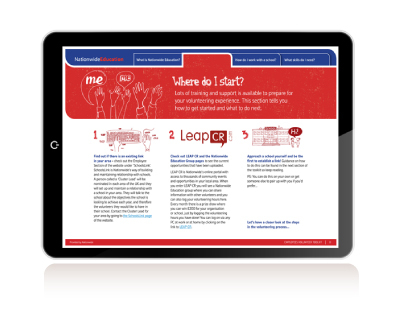 An interactive poster houses ten sections, each with simple, easy to read and digest content, illustrating the ten principles. The interactive elements, allow for certain points to be enlarged upon and follow Wincanton’s current process flow. Employees have enjoyed the resources and have quickly grasped the principles.